How well do you know your quotes from Down Under? Mark Twain put his finger on one of the minor problems for a relatively new nation: making an impact in the world of famous quotations. All the good lines seem to have already been used somewhere else, by somebody else. For example, when the Australian Prime Minister Malcolm Fraser said ‘Life is not meant to be easy’, he was echoing George Bernard Shaw. And when talking about people who live ‘down under’, even Shakespeare got in on the act (pardon the pun) first: in Richard II the title character talks about ‘wandering with the Antipodes’ to his cousin. 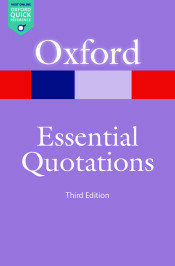 This month we have added some new famous lines said by Australians and New Zealanders to Oxford Essential Quotations. We’ve gathered a selection of these together to test your knowledge – do you know who said what? Featured image credit: Globe. CC0 public domain via Pixabay. Quiz image credit: Exchange of ideas. CC0 public domain via Pixabay.